This is my second article on the DMA Fundraising Conference and today we’re looking at the science of giving. The brain, the why, and the how of giving. Be sure to check out my previous article about: Making Mobile Work with Paul de Gregorio from Open; and keep an eye out for my upcoming How to Build a Better Brainstorm with Madeline Stanionis from M+R. I’ve attended Cognitive Behavioural Therapy sessions before so the title of this talk really jumped off the page for me. As the Creative Manager at Fundraising Direct, I love figuring out why people do the crazy things we do and then working with that to get them to do what I want them to do. Kiki Koutmeridou, PhD and Behavioural Science Strategist at Donor Voice presented some wonderful insights into the science of why we give and why we keep doing it. In a nutshell: We support charities because they speak to our identity and because we believe that we make a difference. That’s pretty straight forward, right? But let’s unpack that a little bit. 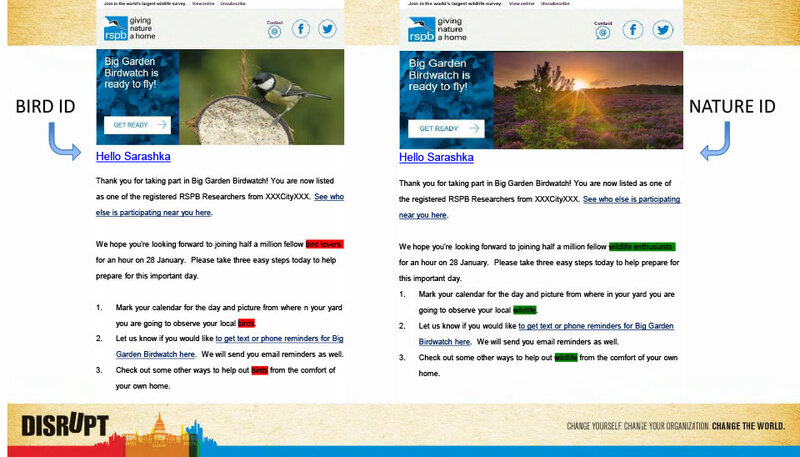 “Donors are drawn to and remain loyal to charities with similar values to their own.” If you love birds, you will most likely support a charity that focuses on birds. 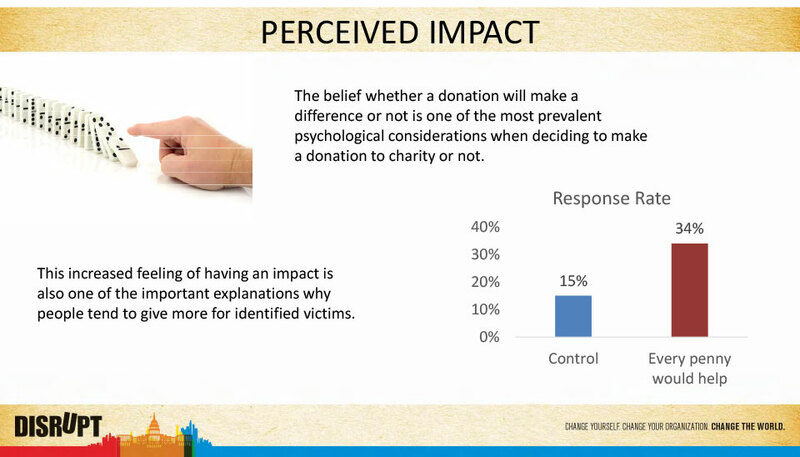 What this means for charities is that they must understand and reinforce that identity across all touchpoints. Learn to talk to your donors about what interests them not about how great you are. 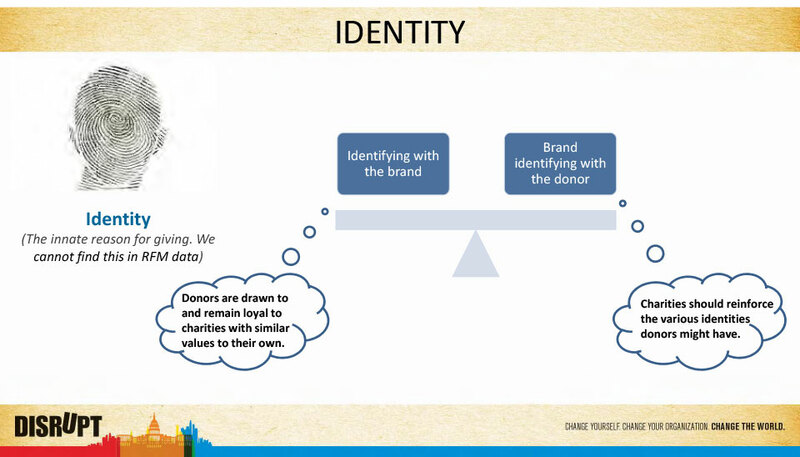 You can help reinforce a donor’s identity with identity priming, a careful selection of words that prepositions the donor not as a person who takes an action but as a special kind of person. 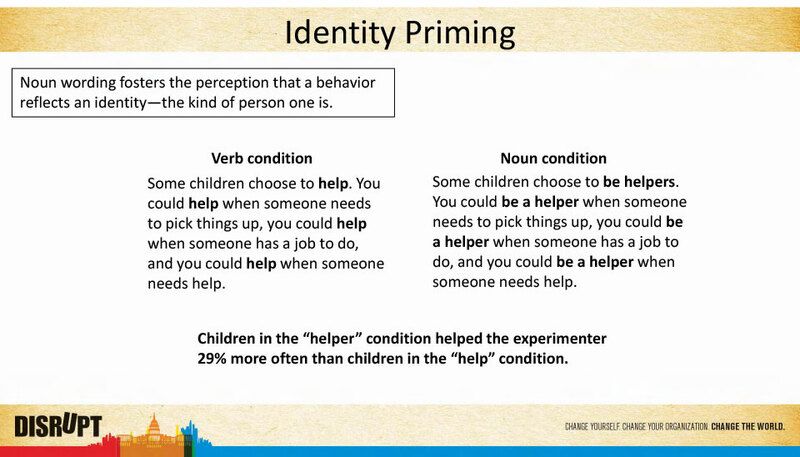 In the example below being a helper is more powerful, more engaging, than a child who chooses to help (maybe just this once). 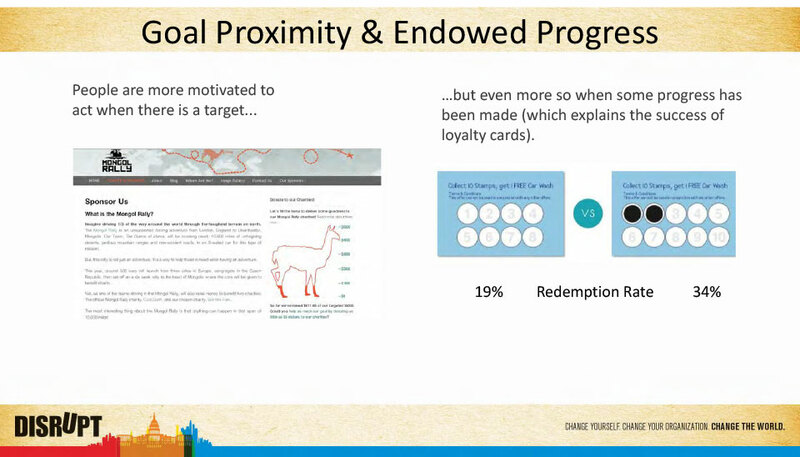 Similarly, adaptive messaging is another key to fostering the donor-charity identity. Know the identity of the donor, ask them about it, and then give it back to them whenever possible, in scripts, emails, and direct mailers. There are a few, fun ways to encourage people to make even more of a difference than they already are. People want to belong and know that they’re making an impact, that their donation is actually making a tangible difference. Tell them what’s happening as often as you can. Seeing a target or knowing that a goal is nearly achieved actually increases the motivation to complete the goal. The more you make it seem like you’re inches from the finish line, the more motivated people will be to help you get there. Set Completion is a little bit like Paul de Gregorio’s itch + relief model. If you do one thing for me and then I ask you to do another, you might say yes. 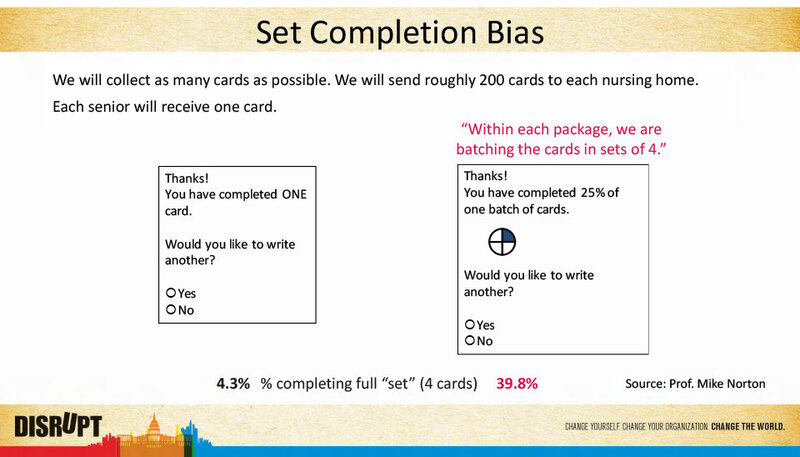 If, on the other hand, I reframe the question and state that you have completed one of four tasks, that itch to complete the set will drive you until you find relief – and complete four tasks. See the complete slide show.